A warning light coming up on your dashboard is never a pleasant experience. A lot of times a warning light can cause stress, especially when you don’t know what the light means. 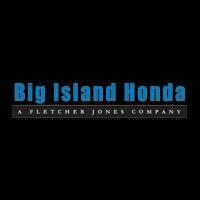 The team at Big Island Honda in Hilo & Kona is here to help our Pahoa and Kamuela drivers by breaking down a few of the Honda warning lights that may appear on their dashboard. Brake System Warning Light: This warning light will be displayed as the word “BRAKE” and will be lit up red. This can mean that your vehicle needs more brake fluid or that there is a problem with the brake system itself. If this turns on, you should schedule a brake inspection as soon as possible. Charging System Warning Light: If a light in the form of a red car battery shows up on your center console, this means there is a problem with the vehicle’s battery and charging system. Low Oil Pressure Warning Light: This warning light takes the form of a leaky red oil can and means that the engine’s oil pressure is low. Malfunction Indicator Lamp: Malfunction Indicator Lamp is another name for the Check Engine Light. This light means that there is a problem with the vehicle’s emissions system or that there is a misfire in the engine’s cylinder. If one of these problems is detected, the warning light will show up as a yellow engine block on your dashboard. Tire Pressure Monitoring System (TPMS) Warning Light: The TPMS Warning Light will show up on your dashboard as a yellow exclamation point in the middle of a tire. If this lights up, your vehicle is letting you know that one of your tires has low tire pressure. This light will also illuminate when the car is using a compact spare tire. Supplemental Restraint System (SRS): The SRS warning light is red and looks like a person sitting down with a circle in front of their lap. This warning means that the vehicle has detected a problem with one of the airbags or seat belt tensioners. Adaptive Cruise Control (ACC): This warning light will show up as the acronym “ACC” and will be lit up in yellow. When this light is on, it means that there is a problem with your Adaptive Cruise Control system. If one of your Honda warning lights turns on, schedule a service appointment at either our Hilo or Kona location! Our team of highly-trained technicians at our Honda service center can diagnose the problem and take care of the necessary maintenance and repairs, helping to keep your Honda in great condition for as long as you own it. 0 comment(s) so far on What Do the Honda Warning Lights On My Dashboard Mean?